Pammy Blogs Beauty: My Hair Loves: CHI Glistening Sky Tourmaline Ceramic Hairstyling Iron and CHI Argan Oil Products! My Hair Loves: CHI Glistening Sky Tourmaline Ceramic Hairstyling Iron and CHI Argan Oil Products! Nothing like the heat and humidity to wreak havoc on my hair! Yes, even straight hair like mine gets frizzy and unmanageable. Keeping my hair nourished with good products and styling it with great tools definitely keeps it looking good and under control. My hair is super long and highlighted. It is somewhat dry and damaged. However, it really does look healthy and I attribute that to using good products and being gentle with it when styling. I always let it air dry as long as I can before blow drying and limit use of a curling or flat iron for special occasions. I always use heat protectants, oils, or serums when I do any heat styling. Recently, I have been using the amazing CHI Argan Oil hair care products and the Ulta Exclusive CHI Glistening Sky Tourmaline Certamic Hairstyling Iron. 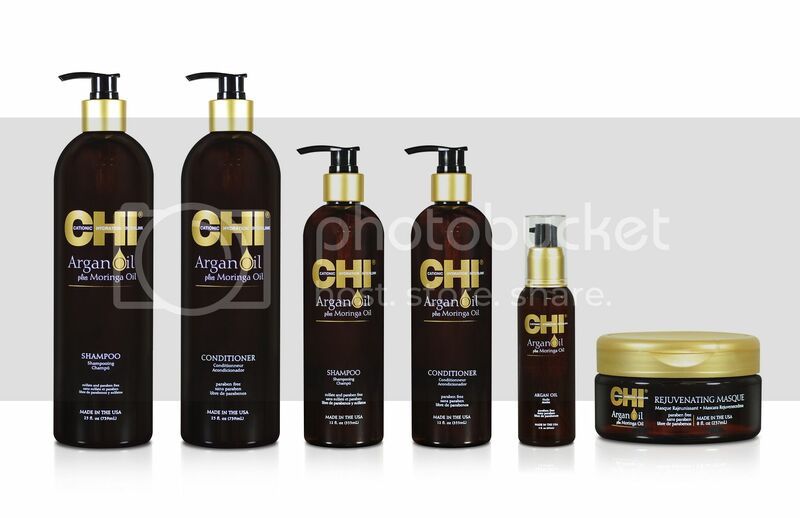 The CHI Argan Oil collection includes CHI Argan Shampoo, Conditioner, Rejuvenating Masque and Treatment Oil (I have tried all except the Masque). The products in this collection are formulated with a blend of Argan Oil, Moringa Oil, Silk Proteins, Vitamin A, and Vitamin E to revitalize hair, improve overall hair texture, and restore shine, elasticity, and managability to hair. Plus, the antioxidants and vitamins provide extra UV protection as well. This collection is a perfect fit for my highlighted and dry hair. The scent of these products is absolutely to-die for amazing! Scent is a very big deal when it comes to my hair care products. Yes, I do go for wanting those "your hair smells great" compliments, lol! These products have an amazing warm and sensual scent: notes of sandalwood, amber, vanilla, musk, carmel, praline, and sweet coconut mixed with a light crispness of green apple. Seriously amazing scent! This blended oil is a fabulous finishing step in my hair care routine! This Argan Oil infused silicone blend leaves my hair super shiny and smooth. It penetrates your hair and smoothes it out leaving it looking shiny and feeling nourished. I apply a very small amount to my hair when it is almost completely air dried and before heat styling. I also apply another small amount when I have finished styling my hair for extra shine to the ends. This product nourishes and smooths your hair while also offering protection for your hair from heat styling and the environment. 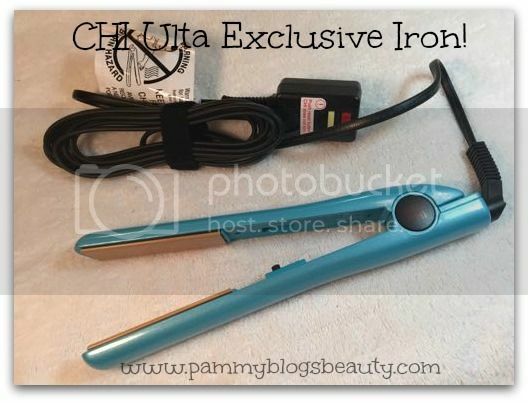 This cute hairstyling iron from CHI is part of the Ulta exclusive CHI Tropical Patterned collection. The Spring Collection of Ultra CHI flat irons features six iron patterns inspired by the emerald waters and vibrand coral gardens of the Bora Bora lagoon. The 1" tourmaline ceramic flat iron is available in Bora Bora Bloom, Coral Reef, Tropical Dots, Dipped in Pink, Dipped in Teal, and Dipped in Yellow. These irons are designed with tourmaline ceramic plates that heat up quickly and evenly across the surface with a max temperature of 392 degrees F. Ceramic creates a far infared heat that penetrates the hair shaft, preserving hair's natural moisture and lustre. The tourmaline technology maximizes the negative ion output and closes the cuticle layer, creating a glossy, smooth texture. Ulta is the exclusive retailer of this collection which is currently available both in store and online for $149.95. Each iron comes with a free beach bag with purchase. This iron is super quick and easy to use! I use it on my hair when it is 100% dry and after I apply a heat protectant. I simply heat up the iron and then glide it over the top layer of my hair to smooth it out and make it super sleek and straight. Yes, my hair is naturally straight...but, I do have random patchy areas of frizz and wave. This iron evens everything out beautifully and leaves my hair looking so "finished" and perfectly straight! Plus, can I just mention how much I love the cute color! Plus, the freebie bag that comes with the iron is seriously cute and great quality! 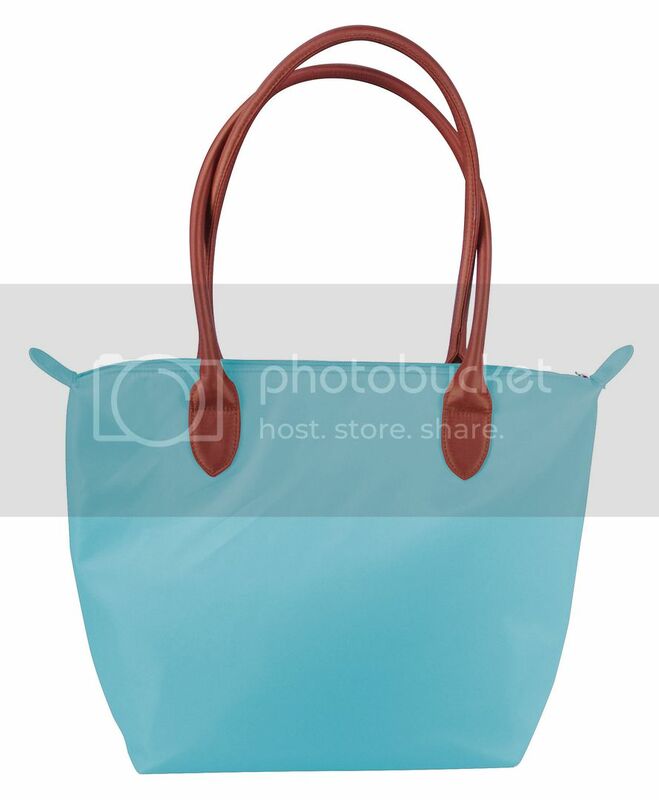 I honestly wasn't expecting to like it so much but think it makes a perfect Summer diaper bag (too small for a pool bag for me since I pack for myself plus 2 kids).